The WordPress SEO Tutorial Tag Archives article is part of a series of SEO tutorials to support the Stallion WordPress SEO Plugin and the Stallion Responsive WordPress SEO Theme. 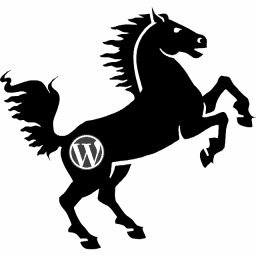 This WordPress SEO tutorial covers the Stallion WordPress SEO Plugin – WordPress Tag Archives options and some Stallion Responsive Theme features related to tags. Index All Tags – Completely SEO safe, it’s the default WordPress behavior, if you are in any doubt about not indexing tags, use this option. Block All Tags – This COULD be seriously damaging SEO wise (hence the red color). There are a few scenarios where blocking the indexing of tags makes sense (see WordPress SEO Tutorial below). Index First Tag Only : Block Paged 2,3,4…^^ – This is safe SEO wise for WordPress sites NOT using the Stallion Responsive Theme. If you aren’t a Stallion Responsive Theme user this is the best option IF you decide to keep your tags (see WordPress SEO Tutorial below). IF you decide to use tags (see deleting tags later) follow the following SEO advice. Never add a robots noindex meta tag that blocks tags, both the Yoast WordPress SEO Plugin and the All In One SEO Plugin has this as an option: Do NOT use those options. Never add a disallow rule Disallow: /tag/ to your robots.txt file. This is what paginated tag archives title tags look like in themes like Twenty Sixteen. The content on each tag page is a unique combination of posts, but without the unique title tags there’s very little hope of them ranking for any SERPs (only the first tag page will rank). That’s the content of 10 full posts, all the text, all the links, all the embeded YouTube videos, Twitter tweets etc… all on one webpage! This is not ideal for performance SEO reasons, consider having ten posts like the one you are reading now (I tend to write a lot :-)) all on one webpage!!!. Compare this to a Stallion Responsive Theme tag output. That’s 10 short excerpts with whatever theme features are set, maybe a thumbnail image for each posts excerpt (10 small thumbnail images). This is much better performance SEO wise and because it’s short excerpts the overall output is a unique combination of content : it’s unique enough for Google to index and rank it in it’s own right (tags with this format could** generate Google traffic). ** Could because they tend not to, tags tend to be one word SERPs and one word SERPs are HARD! Highly unlikely to generate one word SERPs on an archive page like a tag. The Stallion Responsive Theme is not unique in using Post Excerpts on tag archives, if your current theme outputs Full Post Content (like the Twenty Sixteen theme) I strongly recommend changing themes. Stallion Responsive WordPress SEO Theme Tutorial : The Stallion Responsive Theme includes an SEO tag feature which allows for setting four additional unique tag title tags (called “Google Panda Buster Keyphrases 1 to 4”) for each tag. 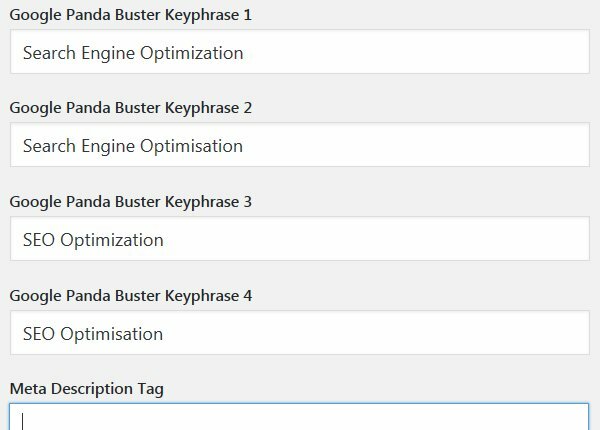 The “Google Panda Buster Keyphrases” are set under “Posts” > “Tags” : “Edit a Tag” – “Google Panda Buster Keyphrase 1, 2, 3, 4”. I don’t use tags (prefer categories which have the same Stallion Responsive feature), so made the above SEO tag archive up: I don’t have a tag called “SEO”, would be a waste of link benefit. Since the Stallion Responsive Theme Paged Tags have unique content and unique title tags, IF I used tags I’d want them indexed using the setting “Index All Tags”. When Google spiders those tags it will index all of them and they each have a chance of ranking for relevant SERPs. Since Page 2, 3, 4, 5 etc… of a tag set do not receive much link benefit, they tend not to rank for difficult SERPs. Since tags tend to be one word SERPs it’s highly unlikely to rank for anything: it’s why I don’t use tags, I prefer multiple keyword categories. The main problem with WordPress tags is they tend to be misused by WordPress users, on some sites the webmaster will add a dozen plus tags on every Post with hardly any thought of what they are trying to achieve! This is the WRONG way to use tags, it’s so wasteful SEO wise. There’s no way this website will rank high for single keyword SERPs like SEO, Plugin, Tutorial etc… on a poorly linked tag archive, to gain those SERPs would require a LOT of incoming links: best chance is either the Home page or an article that goes viral and generates loads of high quality backlinks (single word SERPs are DIFFICULT). Spending valuable internal link benefit (link benefit from internal linking to the tags) is a complete waste of link benefit that could be used on your important Post based content. When using tags (and categories) use the “Less is More” approach. The output of a tag archive in most WordPress themes is similar to the output of categories. Tags and category archives are pretty much the same thing : a categorized archive of the sites WordPress Posts. When adding a Post to a tag/category archive always keep this in mind (unless the theme you use does something different with tags/categories). This does NOT mean you MUST add your Posts to 3 category/tag archives, this is the maximum that makes sense for most WordPress sites. This WordPress Post for example at the time of going live (October 2016) was added to ONE category and ZERO tags (I rarely use tags). I plan to create a new WordPress SEO theme which works alongside the Stallion WordPress SEO Plugin (could be many months from October 2016, probably in 2017) and will probably create a new category specifically for that themes tutorials. I plan to use this Post for both the Stallion WordPress SEO Plugin tutorial and the new WordPress SEO theme tutorial, so at that point will add this post to a second category. Adding a Post to one category (which you must do, it’s WordPress default behavior) is all a Post needs for SEO reasons. Remember every time you add a new tag/category to a site it costs link benefit to keep it indexed, that link benefit comes from the rest of the site. 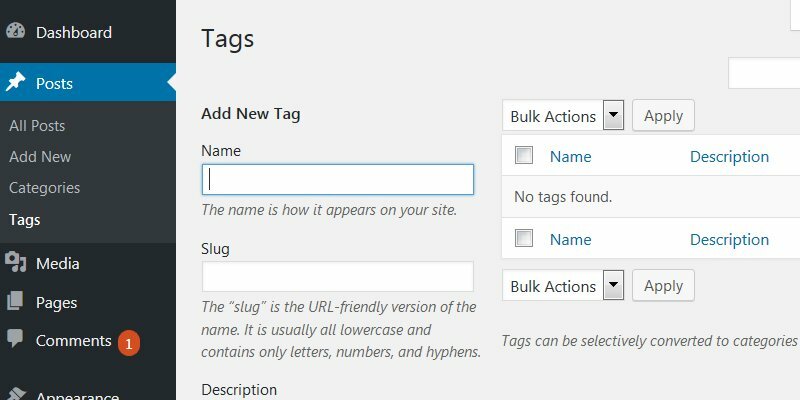 If you added 10 new tags today, the link benefit to keep them indexed is taken from your valuable Posts: adding new tags could result is LOWER Google rankings! 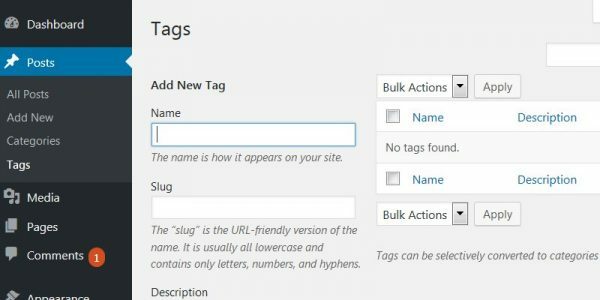 If you were building a new WordPress site you now know to limit the number of tags, but what if you already have hundreds of tags? In my experience tags are not part of a good WordPress SEO strategy. If you have a lot of tag archives on your site the first step is determining if they have any SEO value, do they pull in Google traffic? Check your weblogs or Google Webmaster Tools traffic to see if any of your tag archives are generating traffic: most won’t. If you find none of your tags generate traffic I suggest deleting them all. If you delete all your tags Google will warn you about an increase in 404 errors: 404 errors are from webpages that can no longer be found. The best SEO solution to this is setup 301 redirects from the deleted URLs to the most relevant webpages. For example if I had a tag called “Stallion” and I deleted it, I might 301 redirect it to another page that is about “Stallion”. Whatever is near the top is probably the most relevant page on the site. A simple 301 redirect rule in your .htaccess file will redirect ~85% of the link benefit to the URL you choose. Not familiar with 301 redirects, see 301 Redirect Htaccess and WordPress SEO Tutorial 301 Redirects. The above assumes your tags are found under example.tld/tag/, but if you’ve changed your tag base setting under the WordPress Dashboard “Settings” > “Permalinks” : “Tag base” or you’ve never set friendly permalinks (so using the default dynamic WordPress URLs) use the appropriate URL structure. In the above example I’m 301 redirecting ~85% of the link benefit (can’t recover 100%) from the /Stallion/ tag archive to this WordPress Post : https://stallion-theme.co.uk/stallion-responsive-theme/. By adding (. *)$ to ^tag/stallion/ it adds a wildcard (. *) to the URL. The wildcard means everything under example.tld/tag/stallion/ including the paged tags example.tld/tag/stallion/page/2/ etc… will ALL redirect to the redirected URL. By adding one 301 redirect rule for each tag you can recover most of the link benefit AND any SEO value each tag had to the most relevant webpage on the site. If you had 10 tags you’d need 10 rules. Below I’ve added a couple more examples. The second rule above I’m 301 redirecting the /wordpress/ tag to the WordPress SEO Plugin category (note: on this site I changed the Category base from the default “category” to “responsive”, set under “Settings” > “Permalinks” : “Category base”. You choose the best webpage on the site for a particular tag, could be a Post, Page, Category or the Home Page or if you are only reducing the number of tags, another Tag. If you are deleting ALL Tags and don’t want to go to all this trouble a single rule can redirect all tags to the Home page, this would be an option where you have a lot of tags and/or they aren’t ranking for anything, so recovering SEO rankings to a specific page doesn’t make sense. If you deleted all your tags and setup a redirect rule for each one, adding the above rule at the end of your other rules is a catchall approach. If you had 100 tag archives and found only three were worth bothering with you’d have a .htaccess file with this in it. The first three lines are redirecting specific tag archives stallion, wordpess, seo (the 3 in our example worth redirecting), the last line redirects the remaining 97 tags in bulk to the home page. The above is for recovering link benefit after deleting all of your tags. After deleting all your tags and setting up 301 redirects in your .htaccess file the Stallion WordPress SEO Plugin Tag Archive options are not needed. Note: For most sites it’s not the end of the world if you delete all your tags and don’t setup the 301 redirects. Tags tend not to generate any links from other websites and they tend not to gain Google rankings. The 301 redirects are a ‘sticking plaster’ while Google respiders the site and passes the internal link benefit (from internal links) that was wasted on tags to the rest of the site. If you delete the tags and add no 301 redirects you’ll probably get some 404 errors notifications from Google Webmaster Tools. Keep an eye on the notices, they will tell you where the tags are linked from, if you find a decent high quality backlink to one of your deleted tags setup a 301 redirect for that deleted tag to a relevant webpage as described above to recover the link benefit. If you instead decide to keep the Tags, but want to limit lost link benefit, read on. I Like WordPress Tags, What Should I Do? So you want to keep some tags for your users, but don’t want to waste so much link benefit on them. On all tag archives this adds a canonical URL to the Home page, this will recover most of the link benefit sent to the tags via links. In terms of recovering link benefit it’s not the best option (deleting the tags and setting up 301 redirects is the best), but if your tags tend not to generate traffic and you want your visitors to have access to tags, this is the option. Never set “Block All Tags” AND “Block All Categories”. There should always be one archive indexed. If you block tags, don’t block categories as well : the “… Block Paged 2,3,4…” options are enough to get your Posts indexed. On paged tag archives a canonical URL is added to the first page of each tag archive. In terms of recovering link benefit it’s not the best option (deleting the tags and setting up 301 redirects is the best), but if your tags generate some traffic and you want your visitors to have access to tags, this is the option. This will concentrate the link benefit flowing through tags mostly to the first page of a tag archive (it still costs link benefit, some of it is recycled). I would only recommend this option for sites where tag archives generate traffic. I would suggest looking through your tags for ones that are NOT generating any traffic and delete them (add a relevant 301 redirect in your .htaccess file as described above). This option keeps your best tags and recovers most of the link benefit. Like categories, tags can generate SERPs in their own right, but because they are designed as one word links (that’s what tags are) it’s highly unlikely to generate any traffic. It’s why I rarely ever use them, I use categories to pass link benefit through to the Posts and try to generate traffic directly to the categories as well by naming the categories with SEO in mind.